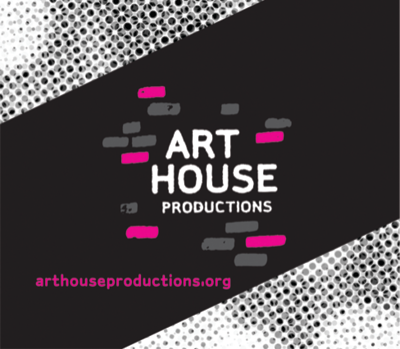 Art House Productions, Christine Goodman (Prod. ), is casting for a new, immersive play. Loosely based on Aeschylus’ The Oresteia, the play explores one soldier’s return to his family after he was presumed dead, and the chain reaction it sets off among the people he loves most. This play relies heavily on movement and dance to tell the story. Seeking actors who move very well. Mason Beggs, Director and Meagan Woods, Choreographer. Rehearsals begin immediately, evenings and weekends. Performances run June 4-13 in Jersey City. ALLEN – Male, All Ethnicities, 40’s. Fit or athletic build, a soldier who vacillates between aggressive/angry and tender/scared. CLARISSA – Female, All Ethnicities, 40’s. Wife of Allen. A severe woman in the middle of a nervous breakdown. She is in love with the televangelist on her TV. OREN – Male, All Ethnicities, Late Teens/Early 20’s. Son of Allen and Clarissa. An intense, physically fit young man with an unhealthy war obsession who lives every day like it’s boot camp. CHANDI – Female, Iraqi, 20’s – 40’s. Allen’s lover from the war. She has a wisdom about her, and is searching for a new place to belong. Passionate. HELEN – Female, All Ethnicities, 40’s – 50’s. Allen and Clarissa’s neighbor. Dressed to perfection with an unparalleled confidence. Sweet yet nosey. Very opinionated. Thick southern accent. If you cannot attend, submit headshot and resume to info@arthouseproductions.org. Bring 2 contrasting 1-minute monologues; prepare to cold read. Be prepared to dance. Union/Non-union. Pay.